Total Defense formerly Computer Associates claims to provide quality security products for Windows PC. The two front-line products from the comapany are Internet Security Suite and Antivirus. They are now offering discounts on their product offerings. I personally haven’t tried either products since Computer Associates became Total Defense. My experience with Computer Associates products were average. According to latest reports, detection of the products are good but usability is average. Total Defense Anti-Virus offers comprehensive professional-grade security to home and home office PC users. This easy-to-use security solution features one of the world’s fastest scanning engines and protects against viruses, worms, spyware, FakeAV, and other online threats. Designed specifically for home and home office environments, Total Defense AV introduces some industry-leading anti-malware enhancements and automatic USB scanning technologies. It packs unprecedented power into an even smaller memory footprint, making your PC security leaner, meaner and smarter than ever before. Total Defense Internet Security Suite is an easy-to-use, all-in-one security solution designed to protect your digital world against viruses, rootkits, FakeAV, and other online threats. Total Defense Internet Security Suite, which now includes Mobile Security, offers virus and spyware protection from emerging threats for desktops, laptops, and mobile devices. Evaluation version of Total Defense Security Products can be downloaded at the following link. 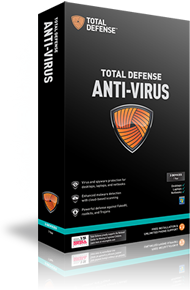 Total Defense Antivirus 1 year, 3 PC license costs 49.99 USD which can be purchased using this link. 50%fromsoftwareclub or use this link. 50%fromregtagdeals or use this link. 50%fromcouponsnapshot or use this link. 50%fromsoftcns or use this link. 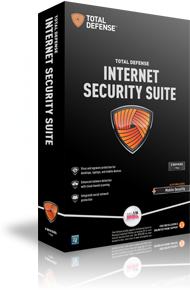 Total Defense Internet Security Suite 1 year, 3 PC license costs 69.99 USD which can be purchased using this link. 40%fromsoftwareclub or use this link. 40%fromcouponsnapshot or use this link. 40%fromsoftcns or use this link. 40%fromredtagdeals or use this link. Great site. Lots of useful information here. I am sending it to several buddies ans additionally sharing in delicious. great author.I will be sure to bookmark your blog and will eventually come back very soon.